The next stage is the Toddler Mom. Up until now you could contain Thing 1, but now Thing 1 is mobile! Oh yes, Thing 1 is on the move. And you better get to a gym because now you are going to be moving more than you ever have before. But, it will be fun. Thing 1 is becoming more independent. This is when the realty that Thing 1 will leave you one day hits…or at least it hit me. That’s when I realized…I better have a life that doesn’t revolve around baby. Then the babbling starts and that leads to talking. And it is so sweet Ma Ma, Da Da…that is when you realize that 1. you better watch your language, 2. you better watch how you talk about others. 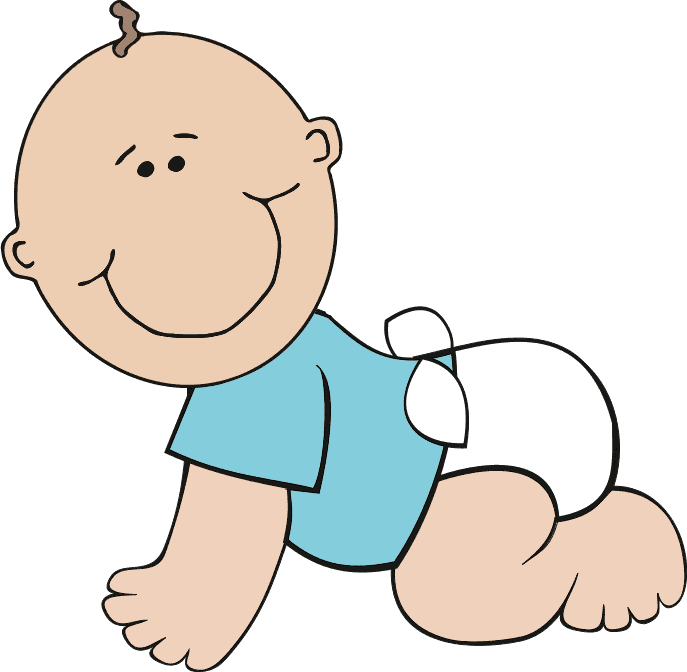 There is nothing funny (to other mothers) or humiliating (to you) than when your precious little Thing 1 babbles babbles babbles and then says S!@#. Oh yes! Those of us it has happened to give you a little sympathetic smile, then giggle all the way to the car leaving Wal-Mart because we remember it happening to us. 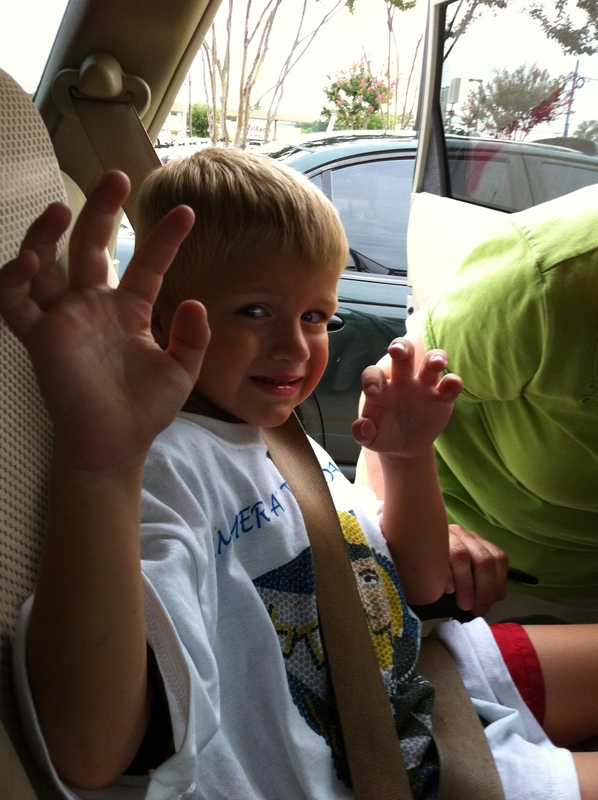 My advice, if Thing 2 says the ugly word in public, turn to Thing 1 and say I can’t believe you taught him that. My Thing 1 has taken the fall many a time for that! He is catching on that he is helping mom out of an embarrassing situation and I believe he will expect payment for that soon. Or…how about when your adorable Thing 1 looks at someone and starts babbling, but the only clear words Thing 1 says sounds like….mama said your mean, or have bad hair, or what ever ugly comment you made in anger and wish you could take back for saying in front of Thing 1. If you have a Thing 1 and 2, that is a hard one to blame on Thing 1 when Thing 2 says it. So that covers the mobility and talking. The big milestones. It’s time for Thing 1 to move to the toddler bed or twin bed or whatever bed you move him to, just out of the crib. You tuck cutie pie into the big kid bed, read fifteen stories, read Goodnight Moon for the 1 millionth time, snuggle Thing 1, say the good night prayers, finish the 1 1/2 hour bed time routine of trying to get Thing 1 to stay in the big kid bed all night. You finally get to fall into your bed and sometime around midnight… you realize some how there are hands and feet in your face and back. It takes another hour to realize that Thing 1 is mobile and can now make it to your bed any time he wants. Oh yes! Thing 1 can’t get from the living room to kitchen without knocking over everything on the coffee table and end table, but he can operate in stealth mode at midnight. And even as you snuggle in close to Thing 1 because you know he won’t do this forever…you think about how tired you are going to be at work tomorrow…and sore from the knees in the back! How can it be the first full week of school? The temperature is 110 outside. It is too early for school to start. But it is nice to get back into the routine of things. The boys have been shocked with all the changes mommy made this school year. No more eating on the run for breakfast and supper. No more fighting over who takes a bath first. No more arguments about school work that needs to be done. This year I made a plan and we have been implementing it all week. Breakfast is at 6 AM. They get 1 hour to eat. Don’t eat, don’t cry. The car pulls out at 7 AM. Meals for supper are planned and eaten at home after activities. Snacks are in the car before activities. Don’t want what is in the snack bag, don’t cry. No fast food stops this week! Just two nights of activities left and we have almost made it without fast food this week!!! WOOHOO. If you need it for school, put it by the door before bed time. Forgot to pack it up, don’t cry. You’ll remember the next night to put it by the door. If you must have it for school or after school activities, carry it to the car. 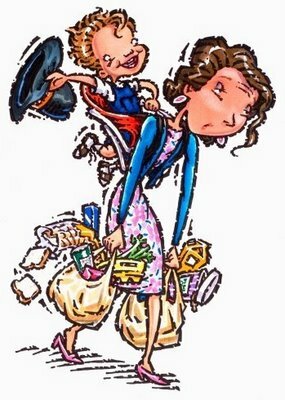 Mommy is not the pack mule. Besides how will you ever find a great girl if you can’t carry bags to the car! If you leave it in the car when we get home, it sleeps in the car. OOPS! Tomorrow night you’ll remember to carry it in. Bath schedules are divided by even and odd days. If you are 8, you go first on even, 5, you go first on odd. It’s the only plan that made sense. Fight over what is on TV, live without it the rest of the night. Reading, math facts, and other homework start right after supper. No discussion, no commentary, just get it done. By 8:30 PM, you must be in bed, reading complete, teeth brushed, teddy bears in hand. Because Mommy needs rest! So far the plan has worked for 3 days. It takes what, 14 days to create a habit. HUM. Wonder if we can keep this up. Check in later to see. It has taken several years (yes, years) to finally sit down and create a chore list for my boys. But today, I finished my work in progress. Since the boys are 8 and 5, I figure it is time for them to learn how to help around the house. This afternoon I printed two chore lists for both boys. Both boys have a list of required chores and extra chores. Required chores have to be completed daily or weekly and do not have an allowance assigned to them. Extra chores are chores that help mom and dad around the house. Extra chores are worth a quarter. I sat both boys down and explained the two lists, what was expected, what the reward was, and consequences to not completing required chores. The list starts on Sunday. Xander immediately took his extra chore list and start doing things to make money. He is keeping a list of what he completed and will “bill me” for those chores. JT looked at the list and considered if it was worth it or not. As his brother ran around the house cleaning, JT announced that he took a bath and should receive a quarter. We explained it didn’t work that way. Taking a bath is required, not an option. JT gave us a look like we must be crazy! The mind of a kindergartener is very interesting. He is trying rationalize why he has a list of required chores. He really thinks if he does them without arguing, he should get paid. It’s really is funny trying to teach the boys all these important things. Their little minds are so literal and logical. All is equal in their little minds. 5=8 when it is convenient. What big brother gets, little brother has to have. It’s the little everyday lessons (like learning new chores) that mold who they will become. These little moments that seem tedious and unimportant at the time create how they process ideas in the future. WOW. Parenting really is the most important job. Tonight JT begged…please please please let me use my Toys R Us gift cards from my birthday. Please Mommy Please. Ok. But we can’t drive out to Toys R Us tonight. Mommy, can’t we order from the web? Ok. I guess we can. We sit down at my computer to look through all the toys in our price range. Oh my gosh! The list never ends. After 30 minutes of explaining to a 5-year-old how much money he has to spend we finally agree on a toy. JT jumps out of the seat and runs to play while I finish the transaction. 20 minutes later… JT looks at my computer screen. Where is the box, Mommy? Oh NOOOOO!!! This is not going to end well. JT, the box will come in a few days. UPS will deliver it to our house. WHAT!!!! Oh no that is not good enough, he yells. After 20 more minutes of ranting he calms down and we can continue with our night. 30 minutes later….JT comes in the kitchen where I am finally finishing the kitchen chores and dreading the rest of the Mommy chores for the night. Mommy, I am not happy. I gave Toys R Us a lot of money. That box should be here by now. JT, it will be a few more days. Mommy, I gave them all the money I have. They should bring my package NOW. This night is not going at all as I had planned….I think it is time for a little therapy or I need to form my Mommy Support Group…. Hello, My name is Jen and my child demands instantaneous results. I watch my youngest son dart from one end of a room to another. Never looking down, never stopping to see what is in his way. Just headstrong and determined to accomplish any task he has set his mind to. He came into the world the same way. 5 years ago on July 8th, I was checked into the hospital at 8 PM. The nurse asked all the appropriate check in questions and we got settled in our room. JT had given us a scare during the pregnancy when a maternal marker test indicated that he may have Down’s syndrome. After several visits to a specialist, it was determined he did not. But other than that it was a fairly routine pregnancy. I was prepared for another dysfunctional labor like we had with Xander. But unlike Xander, JT was ready. At 39 weeks, once the contractions started, JT was itching to get out and see what the world had to offer. The contractions had started earlier that day and progressed into the night. The on call ob checked all my signs mid morning on Sunday (maybe 10 AM) and stated he had time to go down the street to another hospital to discharge another new mom. Ok…no problem. We still had some time. However, JT, ever the prankster, had other plans. As soon as the doc returned to the hospital, the labor and deliver nurses were paging him to my room. JT was coming out with very little pushing. He was ready and was not waiting on anyone. The doc was prepping for the delivery and telling the nurse to tell me to stop pushing. After several she needs to stop pushing comments, the nurse turned around to the doc and said, “SHE’S NOT PUSHING!!! !” The doc barely got in position and JT came out screaming and ready to take on the world. I think back and swear I must have only pushed twice. He was delivered at 11:19 AM. Ever ready for a challenge, JT came into this world ready to tackle anything in his way. Xander taught me I was not in control of everything, JT solidified that for me. JT pushes the limits at all times. He lives life to the fullest. He loves with his whole heart. We will be headed to Great Wolf Lodge for vacation in the near future. This was the first Saturday we’ve had since March that we were not committed to swim team practice, tae kwon do practice, weddings, church functions, school events, birthday parties, etc. So we decided to start planning our trip. Good thing we are leaving now so we can stay on schedule. We have to be passing through Baton Rouge at 9 AM to stay on the schedule I have set up. If you have this trip planned by in 15 minute increments, I am staying home. Here we are preparing for our next trip. The strange thing, other than a trip to Legoland that required advanced purchase on tickets, I don’t have the minutes planned. 1. Kids like routines, but get worn out when pushed from one place to another. 2. You miss the fun stuff when the minutes are too planned. 3. Kids point out things you wouldn’t have thought to try. To rigid a vacation schedule doesn’t allow for that. 4. I don’t want to look back and wish I had relaxed more. 5. After two boys, I am just too tired and lazy to plan every 15 minutes out. WOW. That is a huge change. I want to enjoy life, not run past it. Is it too early to say tonight is an incredibly peaceful evening? There was no arguing on the ride home. There was no hitting or yelling or name calling. No fighting over the DS. No screaming that the radio was too loud, too soft, not the right music. When we walked in the door everyone agreed on what to eat. No one hated dinner. No one complained it was too hot, too cold, too spicy, too bland, too much, too little, too many greens, too little yum. Everyone completed their summer homework and reading. No complaining, no refusing, no statements of hating school work in the summer. Time for a little TV. Again, no hitting, punching, name calling about what to watch. Both boys wanted to watch the same show. They sat together watching TV and playing on the DS…together. How did this happen? Are they sick? Fever? Were they replaced by aliens? Who are these children? Where are my boys? How can I keep these two boys? I must remind myself to savor this moment. It will end soon. But for now… All is right with the world.